With Readly you can read Complete History Of The Universe and thousands of other magazines on your tablet and smartphone. Get access to all with just one subscription. New releases and back issues – all included. 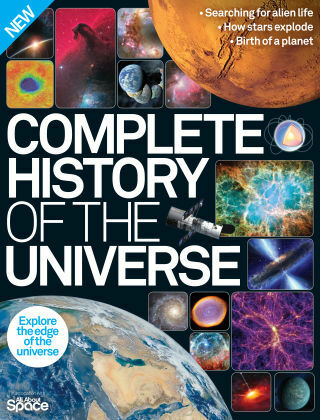 Delve deep into the mysteries of the universe and let this book take you on a journey from the start of the universe at the Big Bang to furthest reaches of the universe observable to man. Somewhere between theory and mystery, learn about all the near-magical bodies of the universe, covering supermassive black holes, neutron stars, hypernovas, wormholes and nebulas.